CEDRIC: Hello, there! Going so soon? 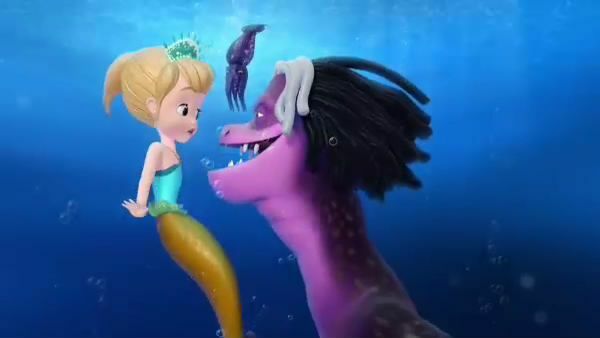 Don't be scared, little mermaid. I only need your comb. I will get your comb one way or another. Let's go, Wormy. 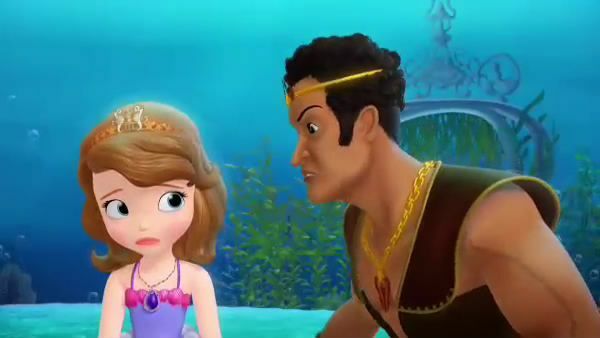 PRINCESS SOFIA: Oona? Oh, no. PLANK: Why isn't the ship moving yet? They haven't even lifted the anchor! QUEEN EMMALINE: Patience, Plank. 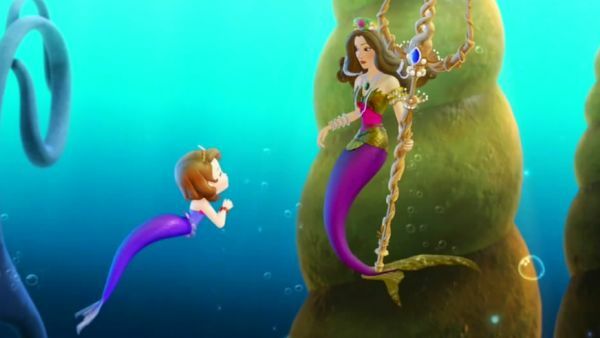 PRINCESS SOFIA: Help! Help! 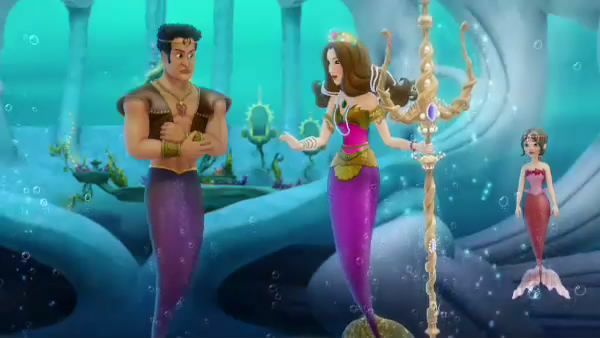 use your trident to conjure a storm so fierce, it will sink the ship so we can take Oona back ourselves! 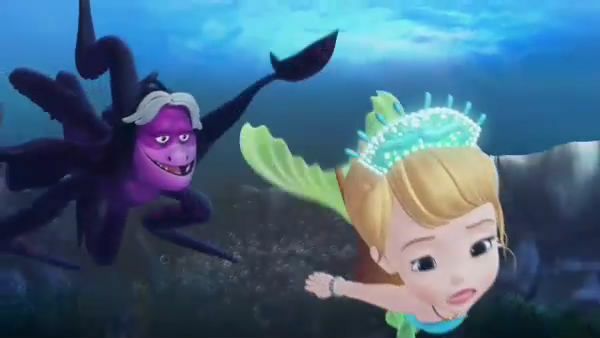 PRINCESS SOFIA: No! QUEEN EMMALINE: Then have your people return my daughter at once. PRINCESS SOFIA: I can't! QUEEN EMMALINE: Then you give me no choice. 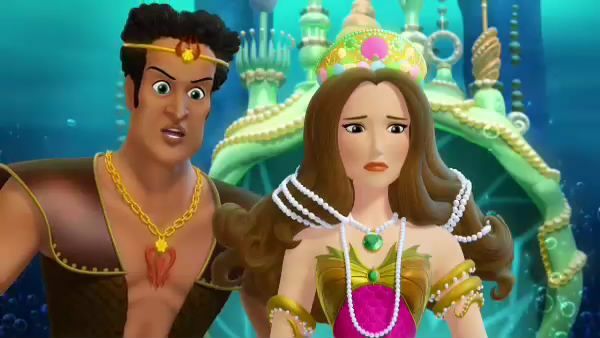 PRINCESS SOFIA: Wait! I'll find a way to bring Oona back. I just need a little time. Please, your majesty. QUEEN EMMALINE: You have until sundown. PRINCESS SOFIA: Okay. PLANK: We should sink the ship now. QUEEN EMMALINE: And endanger all those people? Plank, I know what happened to you the last time humans were in the cove. Follow the girl. Just keep an eye on her and let me know if you see Oona. PLANK: I will, your majesty. 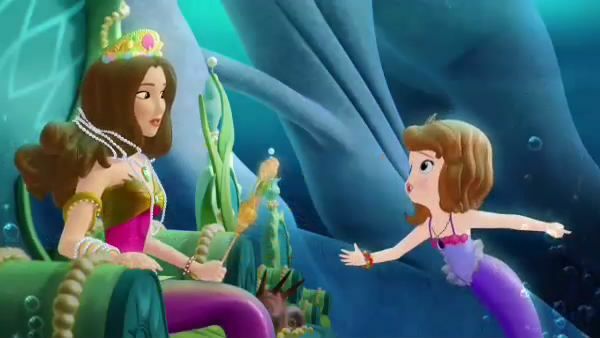 PRINCESS CORA: Mom, is Oona going to be okay? QUEEN EMMALINE: Of course, Cora. One way or another we'll get her back. 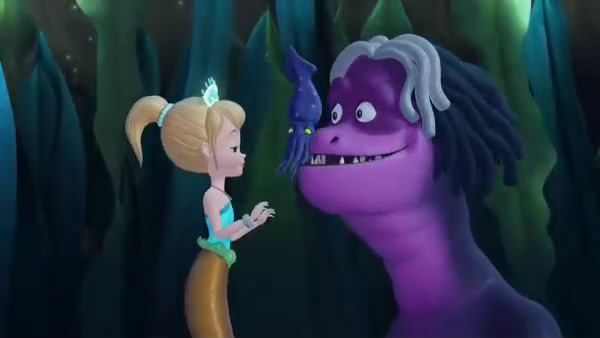 MERMAID PRINCESS OONA: Let me out, you ugly sea monster. CEDRIC: Not until I get your comb. And let's not get personal.